Many may have missed this small snippet of news, but the Special Officer, Corporation Commissioner D Karthikeyan has already passed the Greater Chennai Corporation budget, reportedly on March 14. Details of the budget are however being withheld in the name of election code of conduct, in view of the imminent by-elections in RK Nagar. While one can understand that the announcement of welfare measures related to RK Nagar could violate the election code of conduct, it is difficult to see why the entire budget details have to be withheld. And one cannot hold back the feeling that an elected council and Mayor would probably have at least ensured that the information reached the public, which is now too much to ask for with an unelected special officer in charge of the budget, thanks to the suspended local body elections across the state. The Chennai Corporation was established as a municipal institution in 1688. Since its inception, it has always had a mayor/president except during two interruptions. The first such occurred in the pre-independence era, when the French occupied Madras in September 1746. Regular functions resumed in 1753. Post-independence, the corporation was suspended in 1973 by the then DMK government following the muster roll scandal. The Corporation remained under the control of special officers until 1996, when the 73rd and 74th Constitutional Amendment came into force and mandated elected local governments in urban and rural India. Now for a third time, since October 2016, the municipal institutions in the state — the Corporation of Chennai as well as all the local bodies of the state — stand interrupted. The State Election Commission which doesn’t come under the purview of the Election Commission of India has a poor record in conducting fair local body elections in the state. The term of the earlier council was till October 25, 2016. On the evening of September 25th, a Sunday, the state election commission notified the dates for the local body polls, and the process of receiving nominations commenced the very next day. It may be noted that the State Election Commission conducted the election in 2011 in a similar way, with little time for non-ruling parties to prepare. On October 4th, the Madras High Court struck down the notification on the grounds that it was ‘not in accordance with the law’ and ordered authorities to conduct the election by end December. The state government initially asked for more time for electoral roll preparation and then cited board examinations, seeking more time. Now, the Election Commission cites “practical difficulties” to argue that it will not be able to conduct elections as per the order of the Madras HC by May 14th, notwithstanding the fact that it would constitute a breach of the constitutional mandate if an elected local government is not in place for more than six months. Whether we like it or not, not everything is under the control of the Mayor or Councillors of the urban local body. Chennai is managed by the corporation and a host of other agencies. Chennai corporation plays a major role in street lights, solid waste management, micro-drainage, parks, playground, corporation schools, non-major roads, bridges and subways. 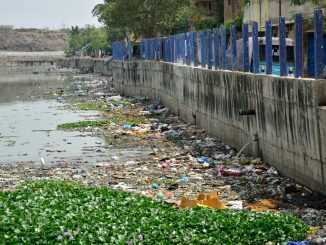 The other agencies that are responsible for governance in the city are the Chennai Metropolitan Development Authority – the nodal planning agency, Chennai Metropolitan Water Supply and Sewerage Board (CMWSSB), Metropolitan Transport Corporation, Chennai Traffic Police. Several state level departments also play a vital role, such as the Highways Department — responsible for major roads within Chennai City, all bus route roads and major district roads, construction of ROBs (Road Over Bridge), RUBs (Road Under Bridge) and pedestrian subways, the Public Works department — responsible for implementation and maintenance of the macro drainage system, the Tamil Nadu Electricity Board (TNEB) and the Tamil Nadu Slum Clearance Board. However, this doesn’t mean that the Mayor or local body is insignificant. The Chennai Corporation had a budget of Rs 4878 crore for 2016-17, which though a smaller amount when compared to other metropolitan cities [Bangalore: Rs 8994.41 crore, Mumbai: Rs 37,052 crore], is enough to make a positive contribution to the city. The Corporation budget is classified into revenue expenditure [Rs 2708 crore] and capital expenditure [Rs 2170 crore]. The biggest revenue income is from property tax, around Rs 650 crore. The biggest revenue expenditure is on salaries which is to the tune of Rs 1,022.04 crore. Under the capital account, the major revenue is from the state government’s allocation to the Chennai Mega City Development Missions, loans and allocation from revenue budget. The capital expenditure is allocated zone-wise to the 15 zones averaging around Rs 70 crore each, plus Rs 415 crore towards storm water drainage, Rs 100 crore for bridges and Rs 151 crore for setting up LED lights. The cleanliness of the city, prevention of a future deluge, safety of women in streets via proper lighting of public spaces and parks, and a lot more depend on how this money is spent. As citizens and taxpayers, we should care about what is done with this money, for they affect our lives very directly on a day-to-day basis. Considering that Chennai corporation has a debt of Rs 1400 crore, one would expect the body to be penny-wise, but that is not so. The property tax of Chennai was last raised in 1998, a good 19 years ago. Experts say that property tax could fetch the city a revenue of Rs 2000 crore if tapped into. The corporation is also lethargic to claims funds from the JNNURM. On January 26, 2017, it was given a deadline of February 15th to claim the balance installment of 353.06 crores for projects under the JNNURM, non-compliance of which would mean foregoing the same. However, there is scarce information in the public domain on whether the claims were in fact made. There are a lot of pending projects, starting from revenue-raising projects such as development of commercial complexes, including a 16-storey high-rise, and setting up of seven multi-level parking lots in busy localities. Between 2013-16, Rs 915 crore had been allocated for stormwater drains and yet we suffered a deluge in December 2015. Indeed, it looks as if instead of being spent on building and clearing stormwater drains, the money actually went down the drain! Integrated Solid Waste management is delayed. 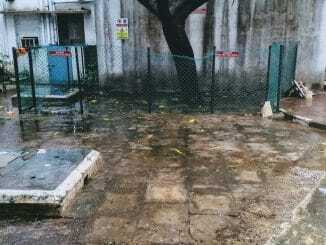 Areas like Mugalivakkam and Ramapuram, now under Chennai Corporation, suffer bad basic infrastructure. Storage in most of the reservoirs supplying water to Chennai is only 10 to 20 percent of their capacity. Lets just hope, the 2003 summer of parched throats, dry taps and water lorries isn’t repeated. While there is a paucity of funds and even basic civic infrastructure is missing in the peripheral regions, the corporation is lax. 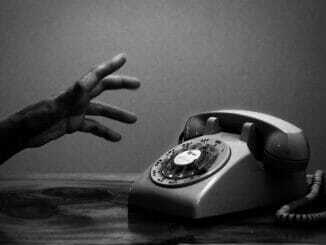 It lacks the will, imagination and concerted efforts to solve these problems. And now, with no elected representatives in the corporation and an uncertain state politics, the summer looks set to be a turbulent one for the city. According to reports available so far, there have been no new projects in this year’s corporation budget. We have to wait to see the details, however, post RK Nagar by-elections. Chennai Corporation also doesn’t have the mandated Ward Committee in-line with the 74th amendment. Unless there is a greater role for the citizen to participate in city governance, through formation of the ward committee, the corporation will find it difficult to make the citizens see why they need more money or why the property tax needs to be reviewed. Let’s hope that at least the elections will be conducted promptly and we don’t end up following the infamous example of erstwhile Andhra Pradesh in delaying local body elections. 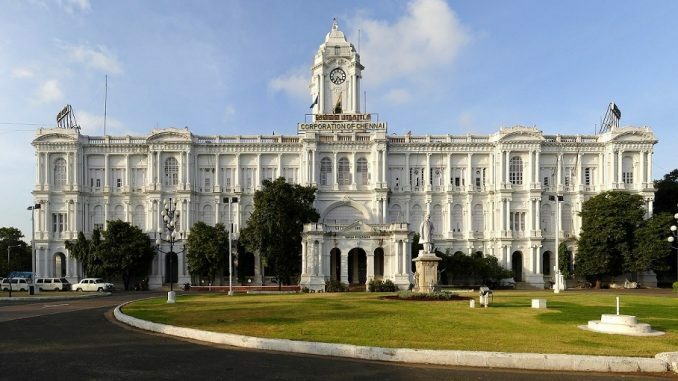 While the absence of an elected body of city Councillors, and the consequent suspension of regular functioning of the local government leaves Chennai in limbo, what may bring some hope for the city is the state budget presented on March 16th. The state government presented its budget as a routine exercise, with little buzz in social media or media, but it contained some announcements that could impact Chennaiites. 9 important roads inter-connecting major highways of a total length of 141.60 km have been identified for four laning / six laning and improvements at a cost of Rs.744 crore. Out of these, works for Rs.232.20 crore will be taken up in the first phase during 2017-2018. The Chennai Peripheral Ring Road at a cost of Rs.13,000 crore is under the consideration of JICA (Japan International Cooperation Agency). The land acquisition for Section-I of the proposed Chennai Peripheral Ring Road, i.e.Northern Port Access Road from Ennore Port to Thatchur on NH5 has commenced and Rs.951 crore has been sanctioned for this project. Metro: Substantial progress has been made on the underground sections and passenger services will commence shortly in the first underground stretch from Koyambedu to Nehru Park. The nine km extension of the Corridor-I from Washermenpet to Thiruvotriyur / Wimco Nagar is under implementation at a cost of Rs.3,770 crore. Three metro rail corridors under Phase-II covering a total distance of 107.5 km have been included in the JICA Rolling Plan for which the Detailed Project Report has been prepared. Water supply projects are under implementation in 27 added areas in Chennai city at a cost of Rs.599.66 crore. Several works to ameliorate the plight of the migrant construction workers living in unhealthy conditions at construction sites.